The Allied landings on the coast of Normandy on June 6, 1944, have assumed legendary status in the annals of World War II. But in overly romanticizing D-Day, Olivier Wieviorka argues, we have lost sight of the full picture. Normandy offers a balanced, complete account that reveals the successes and weaknesses of the titanic enterprise. In addition to describing the landings with precision and drama, Wieviorka covers the planning and diplomatic background, Allied relationships, German defensive preparations, morale of the armies, economics and logistics, political and military leaders, and civilians’ and soldiers’ experience of the fighting. Surprisingly, the landing itself was not the slaughter the general staff expected. The greater battle for Normandy—waged on farmland whose infamous hedgerows, the bocage, created formidable obstacles—took a severe toll not only in lives lost, but on the survivors who experienced this grueling ordeal. D-Day, Wieviorka notes, was a striking accomplishment, but it was war, violent and cruel. Errors, desertions, rivalries, psychological trauma, self-serving motives, thefts, and rapes were all part of the story. 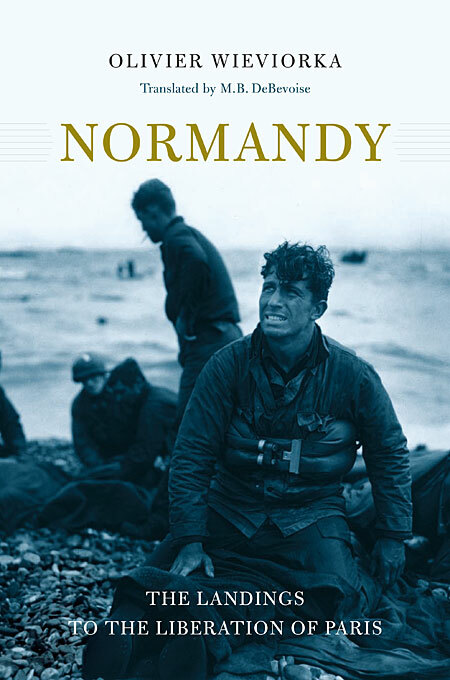 Rather than diminishing the Allied achievement, this candid book underscores the price of victory and acknowledges the British, American, and Canadian soldiers who dashed onto the Normandy beaches not as demigods, but as young men.